Baltimore Celtic SC 00 (MD) lost its last game of group play and headed into the semifinals as the 18U Boys Group B runners-up where it matched up against Group A winners Washington Premier 2000 Black (WA). It was back and forth early on with neither team necessarily controlling the momentum of the game but as the teams being to settle into the match, Celtic began possessing more and more of the ball. Ben Stitz had a chance to give Celtic the lead early on but couldn’t keep his shot on frame as he muscled around a defender in the center of the box. Celtic continued to put on the pressure and saw a corner kick find Justin Gielen’s head, but the Washington keeper was up to the task to make the save. Celtic finally broke the deadlock in the 31st minute as the Celtic players worked the ball up field to the feet of Stitz. Stitz held up the ball, and then rolled a pass between defenders to a streaking Gielen who made no mistakes in smashing his shot low to the back post for the 1-0 lead. Baltimore controlled the game right of the gate in the second half and almost added to the advantage but saw another header attempt gobbled up by the Washington keeper. Washington had a great opportunity to level the score as Gilbert De La Luz beat his defender to the endline. De La Luz hit a great cross through the box but there were no Washington teammates around to finish the pass. Celtic extended its lead in the second half as Stitz and Gielen once against combined for a goal. Stitz got off on a break and hit a cross to a streaking Gielen who slide to put his shot into an open net beyond the stranded keeper to make it 2-0. “[Scoring at Nationals] is something special,” said Baltimore Celtic’s Ben Stitz. “Just and I have had a great partnership all year and to score at Nationals is a feeling like no others. Washington tried to push late, but a cutback pass into the box by Jacob Keasler went to waste as the following shot went wide of goal. Baltimore held to the final whistle and now move onto the 18U Boys National Championship game where it will get the chance to defend its 2017 National Championship title. 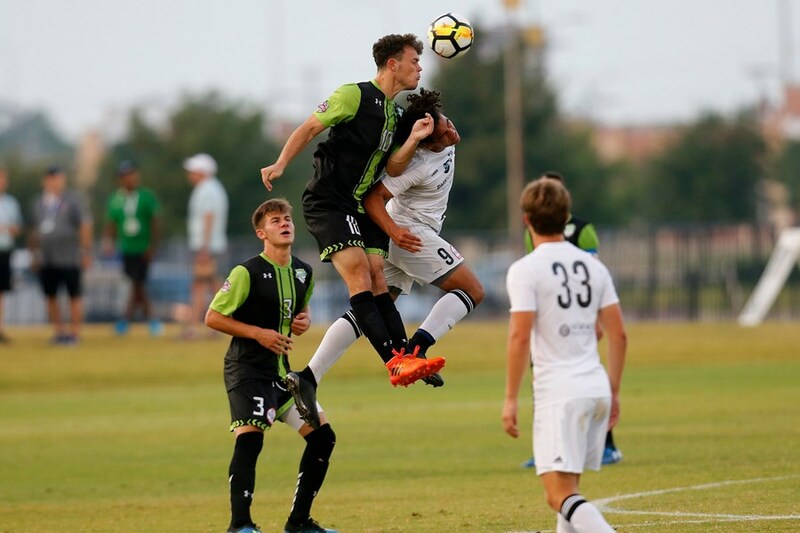 To repeat as champions, Celtic will need to overcome Downtown LVSC 00 Academy (NV) in a rematch of yesterday’s final group game where the Nevada side won 3-1.